DIY Divorce-we will provide and review all necessary documents for your divorce, you file them. We provide full service, cooperative, uncontested divorce solutions. We help clients keep their divorce affordable, simple and out of the courts. We can complete your divorce in 45 days. You will never appear in court. We require NO retainer. There are no suprises, you will know your costs. You can choose a fixed price package or hourly approach. It is possible to divorce with dignity and respect, which honors your past and moves you closer to a happy future. Stephanie will help you and your spouse navigate your divorce cooperatively. She will guide you through the entire divorce process to include the filing of all divorce documents for a fraction of the cost and with peace of mind that the psychological and emotional effects of divorce are cared for. 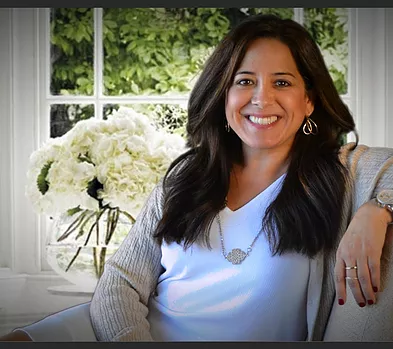 Before studying family law and graduating from McGeorge School of Law in Sacramento, Stephanie practiced Marriage and Family Therapy for 17 years. This education and experience provides a knowledgeable and supportive environment that allows each party to be heard and respected. Stephanie is not an attorney, has never desired to be one and prefers to eliminate the combative nature of divorce. Completion and Filing of all required court documentation (LDA #2017-04). The cost for these services are dependent on the conflict level of your divorce. The most amicable divorce will cost on average $2,600-3,000. This cost includes mediation, paperwork and the filing of all documents required to complete your divorce. If you need no mediation and have all issues resolved, we will complete your divorce with an affordable flat fee. Take control of your life. Life brings many changes, some of which are emotional and difficult. Whether you're going through a divorce or relationship difficulties with a loved one, I can help you evaluate this and make a decision. As a relationship and divorce expert, I will help you strengthen yourself, identify your goals and teach you skills to fulfill your wishes. My past experience includes practicing as a Marriage and Family Therapist and School Counselor. Currently, I Coach and Consult with individuals who are transforming their lives in a variety of ways. Redefining oneself, resolving conflict and moving forward is best done with support. My experience and education can help you through this process. Co-Parenting Education is a process developed to assist co-parents in moving from their previous personal relationship to a business relationship focused on their children. The process was developed to give co-parents an easy access, private, and non-adversarial alternative to using the court for settling ongoing conflicts and for decision making over time. In addition, the process can be child inclusive allowing your children to communicate their needs and preferences in a safe and private setting. The process is a combination of co-parenting education, conflict resolution skills training, and mediation. Solution Focused Co-Parenting Education is not a parenting class or counseling. The focus is on the co-parenting relationship between the adults and on assisting them to develop effective co-parenting strategies, to learn conflict resolution skills, and to develop co-parenting agreements specifically customized to their unique situation. For more information, please visit my Co-Parenting page . Please allow me one business day to respond. Thank you. Please enter your phone number in the format (123-456-7890).
" Coming to see you change the direction of my life from angry to optimism and openness about the future." " Thank you for your responsiveness, reliability and care for our emotional and personal well being during our divorce." " Coming to see Stephanie was affordable, timely and helped us maintain a respectful relationship."